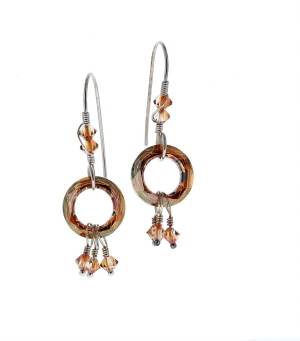 Swarovski crystals in crystal copper, 4 mm bicones and 14 mm cosmic rings, display a brilliant flash of color as you move. Earwire is hand formed using argentium wire. Sterling silver headpins are used for crystal dangles. 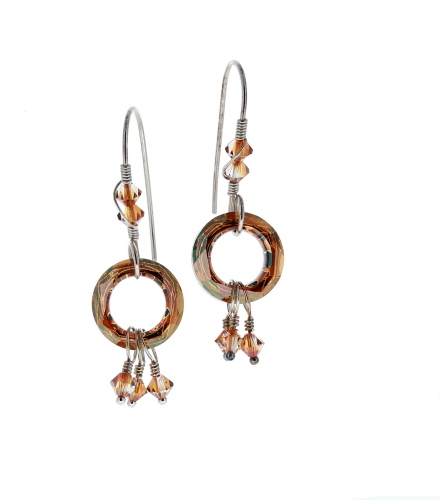 Earrings measure 1¾ inches from top of ear wire to bottom of dangle and weigh less than 0.05 oz each.